Posted on March 23, 2018	by Blog Woman!!! There’s unfortunate long-held misunderstanding of what being “Metis” means. That confusion has only grown messier in the last few years by increased numbers of various groups looking for recognized Metis identity, if not as entirely new nations altogether. The misperceptions have lead to outright strife throughout communities, acted out in mild contentious chats to vicious trolling attacks on social media to threatening job losses and lawsuits. Canada didn’t help this confusion when it formally recognized the western Metis Nation without clearly spelling out that following the steps to ‘self-identification as Metis’ also requires proving that you’re related to this nation. In other words, your relations must be of the known Metis ancestral names on record, language, history & culture from within this western Indigenous community. Thus, I could not put my Cree or other mixed relations on my Metis application. Canada’s not clearly stating that serves to inspire some to claim their Indigeneity by choosing to be Metis, likely in the mistaken belief it’s less daunting than having to provide records for their original First Nations families. People of no Indigenous ancestry have also been re-inventing their heritage in order to apply themselves, unchecked & un-vetted, to positions meant for the Indigenous in work & arts opportunities, education grants, and governance. Several of these interlopers have been uncovered within the last decade. From there, groups work by literally re-writing history to usurp harvesting rights from First Nations and to demand retailers provide them rights that even the recognized Metis Nation don’t have – tax free gas & merchandise. Copies of meeting minutes from the “Eastern Metis”, detailed concern mainly for those ‘goodies’ and did not address a single issue plaguing the Indigenous in Canada today. These groups are prolific, overwhelmingly white, many racist-based including three that merged and changed their name from the “Association for White Rights” to the “Eastern Metis”. They claim well over 20,000 members in Quebec & contest Innu land claims. In Nova Scotia the self-identified Metis are fighting to claim the harvesting rights of the Mi’kmaq. The Mi’kmaq vehemently oppose those claims because they state there was never historical Metis settlements in Nova Scotia. Currently most people, even some indigenous people, believe ‘Metis” simply means a mix of any Indigenous with non-Indigenous ancestry – generally something European. While the Metis Nation is comprised of some French & British men and the word ‘metis’ is French for mixed, this is not what is meant when it comes to defining the formally recognized Metis Nation. This nation began forming in the 1600/1700s, solidifying in the early 1800s between a relatively small group of specific and well-documented Indigenous women, generally from the Cree & Anishinaabe nations and their French, British/Scot men. Their following generations went onto marry other members of this Metis grouping or their original First Nation tribes. 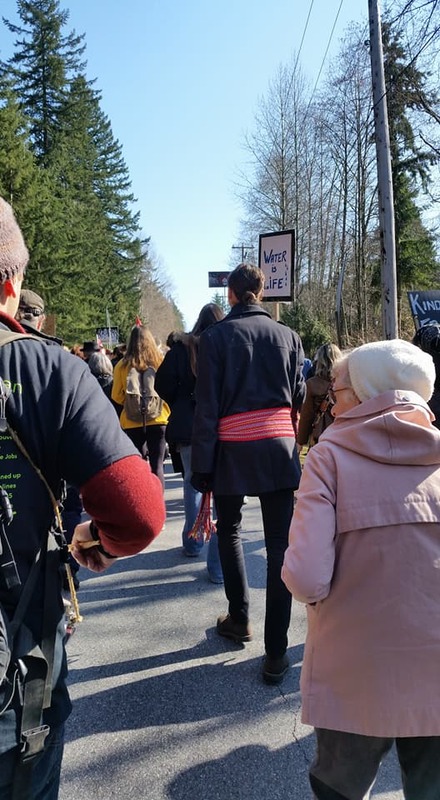 The recognized Metis Nation’s battles alongside their ancestry nations for Indigenous rights, and having been persecuted and killed for doing so, is a well-established record. The idea that being Metis is the simple work of dividing each generation by another half with white people is incorrect. That ancestry is currently known as mixed or “non-status First Nations” people, known as part whichever original nation(s). It is not, at all, the romanticized idea that the Metis lived one foot in the ‘white world’ and one in the ‘Native world’. The Metis were and are Indigenous. Just to clarify further, there are also mixed ‘Status” First Nation. Many of these cases are from families where a First Nations man married a white woman and full status was granted to she and their children. Not so for Indigenous women, who lost all status for herself and her children if she had children with a white man – the original non-status First Nations. I understand why many want to identify as Metis because of the western Metis Nation federal recognition as ‘Indians’, but wanting it and being it is not the same thing. I do however, strongly believe verifiable non-status First Nations fully deserve the sorely lacking recognition and representation. This is in contrast to growing groups who feel it’s their right to claim Indigeneity on face-value, claiming persecution when asked for bona-fides. They seem to feel they’re above the routine requirement of all Indigenous to provide records of proof to claim status or membership into nation. No nation is obligated to accept anyone. I’m not entering into the role of declaring who is or isn’t Indigenous. That’s not my fight. My personal expectation is that any individual or group looking for formal Indigenous recognition have to meet the standards of nationhood that the western Metis Nation did: a distinct language, unique & established customs and traditions and a documented current line to historic Metis communities. If there are other Metis groups throughout Canada meeting the standards, by all means pursue it, but without denigrating the western Metis Nation for having achieved it. Your fight is with Canada. Many groups asserting they’re Metis regardless of the known parameters explain their line to the Metis is based in the claim they were ‘especially’ discriminated against, and so ‘hid out in plain sight’ all this time as a life-saving measure. How do they then square this with their claims of holding ‘known historical land bases’ that tie to them even today? How does one publicly renounce their heritage for several generations by hiding out and living in non-Indigenous communities and then come back now to claim their presence in those communities constitutes making those communities now Indigenous? Qualified historians cannot establish these claims. I’m very aware of the difficulties some of us have in finding our roots, however most indigenous families were well-documented by Canada for its own nefarious purposes. It’s not as easy to ‘cheat’ one’s way through Indigenous ancestry as one might think. To those who try, I can only say – shame. Shame on you for stealing the only thing any one person undeniably has a right to – their inherent identity. If one is only seeking status in the hopes of attaining the mythical understandings of Indigenous rights, I’ve little sympathy for that. If you haven’t lived a day as an average Indigenous person in Canada, you are far removed from rights still being ferociously fought for, even as they are actively being reduced in Canada. For those genuinely feeling the call of their Indigenous grandmothers in their hearts, do seek the home fires of your true nations. Honest peace and celebration is found within the real teachings of our culture(s). Programs dedicated to these efforts prove that. We would all like easy resolution to our issues, but despite how some want to define Metis, there is more to it than simply throwing any and every nation into the mix. November 1, 2018: Self-made métis, by Dr. Darryl Leroux. Oct 3, 2018: Mi’kmaq of Nova Scotia and Métis sign historic Memorandum of Understanding affirming both Mi’kmaw and Métis nationhood in the face of proliferation of “Acadian-métis” claims. Commit to support each other’s sovereignty into the future. Oct 1, 2018: A 2007 list of known organizations usurping the rights the Indigenous across Canada. This entry was posted in Indigenous Peoples, Life, Metis, Uncategorized and tagged Controversy, First Nations. Bookmark the permalink. 6 Responses to What is Metis Again? wow trouble and complications abound, didn’t know any of this so thanks for the education! Yes and forgive me for using my reply to add a little to the soapbox. It’s even more frustrating on days when our own Indig relations do not get it. I challenge them to tell us what unique language and customs do all the self-proclaimed Metis are, but I never get an answer. They’re determined to lump us all together regardless of history. It makes me wonder what they call the the children of First Nations men who married white women and got them full First Nation status? Those kids are known as status First Nation, not ‘Metis’. Thanks, Larry. I’m sorry for the late reply, I didn’t receive any notification of your comment and just saw this when I updated this post. Thanks for your thoughts, my friend. I confess I am mostly ignorant about this issue. Robyn, I once again really appreciate learning, from one of your excellent posts.